Navarra export catalogue - Tenerías Omega, S.A.
Tenerías Omega uses bovine raw hides for its application in domestic upholstery, aircraft, automotive as well as leather goods. 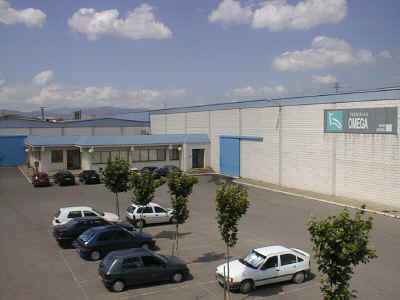 It occupies 67.000 square metres and has a covered area of 25.000 square metres. Our annual production capacity is 18.000 hides/month, which accounts for approximately 90.000 square metres of finished leather. At present it employs over hundred people, including a selected team of professionals that make up our technical department.